Rio 2016 Summer Olympics Medal Tally is here with live updates. The Live updating Rio 2016 Medal Tally, the medal count table of Rio 2016 Summer Olympics will be published here as written in the record of official portal of Rio 2016 Summer Olympics, www.Rio2016.com. 2016 Summer Olympics is hosting in Brazil, who hosted FIFA 2014 World Cup. Maracana Stadium will be the main venue for this biggest multi-sports event. All the events of Rio 2016 Summer Olympics will be starts after the Opening Ceremony on August 5th 2016 except football. Football matches are scheduled from 3rd August 2016 to 20th August 2016. 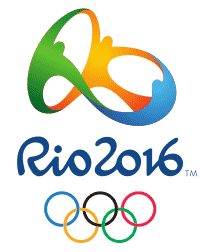 Rio 2016 Medal Tally is the list of 2016 summer Olympics participating nations with order by most number of Gold winners, Then Silver medals and Bronzes. There are 306 Gold medal events at Rio 2016 Summer Olympics. Rio 2016 is officially known as Games of the XXXI Olympiad. Before the Rio 2016, last Summer Olympics was in 2012 in London. United States of America (USA) was the most gold medal won country in 2012 Summer Olympics. USA Scored 46 Golds in 2012. India scored 2 Silvers (Vijay Kumar in Shooting and Sushil Kumar in Wrestling) and four Bronzes (Gagan Narang, Saina Nehwal, Mary Kom, Yogeshwar Dutt). There are 83 athletes represented India in 2012 Summer Olympics. Rio de Janeiro won the hosting bid against Madrid, city of Spain, on 2nd October 2009. Rio de Janeiro won 66 votes while Madrid scored only 32 votes. Stay Tuned with Indiancrux.info for the live updates of Rio 2016 Summer Olympics Medal Tally (The medal count table). Live medal table and complete results will be here.